Having been subjected to Twitter's shadow bans myself, I was gladdened to hear of Devin Nunes' $250 million lawsuit against what his attorney calls a, "Modern day Tammany Hall." California GOP Rep. Devin Nunes filed a major lawsuit seeking $250 million in compensatory damages and $350,000 in punitive damages against Twitter and a handful of its users on Monday, accusing the social media site of "shadow-banning conservatives" to secretly hide their posts, systematically censoring opposing viewpoints, and totally "ignoring" lawful complaints of repeated abusive behavior. There's one major wrinkle in Nunes' plan: Section 230 of the 1996 Communications Decency Act, which exempts social media companies from the libel and defamation liabilities normally incurred by publishers. It looks like Nunes' lawyer is arguing that Twitter shouldn't enjoy Section 230 immunity from liability in this case because point 3 doesn't apply. Since Twitter encouraged and helped develop the harmful content, they're not just platform providers; they're content providers. On a related note, guys like Nick Fuentes have been pushing for the revocation of Twitter, Facebook, and Google's Section 230 immunity based on similar logic. The idea goes like this: If you run a digital public square, which Twitter CEO Jack Dorsey called his company, you should have two choices. One, you can let all users speak their minds uncensored. In that case, you're acting as a platform provider, not a publisher, and should be immune from liability. Two, you can actively curate the platform and censor offending speech. But since you're taking an active hand in the kind and quality of content that appears on your platform, you've stepped over a line and become a publisher subject to liability. We'll see if the pushback against Big Tech gains steam, and which direction it heads in. A certain executive order we were promised a while back would help. 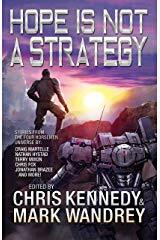 Buy the new Four Horsemen Universe anthology Hope Is Not a Strategy, including my short story "The Problem of the Qualis" now! The second they got into the censoring business, they became publishers. That's pretty much what publishers do, decide what is and what is not worthy of public view. That is supposed to be their added value in the book world. That their judgement doesn't match market tastes is beside the point. It's their stated function (which matches what big social is doing) that counts. Not only are they censoring but also promoting certain accounts through their verified status to be more visible than regular accounts. Blue checks are also curated content. 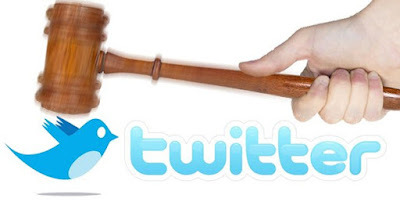 So in the end, Twitter et al are content providers and subject to the same laws as MSM? It'll be quite fascinating to see the railing and gnashing of teeth when Twitter loses. P.S. didn't Jack undercut the 230 protections during the Joe Rogan interview? Put the Silicon Valley Tyrants into the Editorial & Publisher Box and take away the Section 230 shield, then a huge portion of their power will be spent on defamation lawsuit defense. Probably all of it. A knowledgeable commenter I follow--it may have been Nick Rekieta--predicted that Twitter and Facebook would be sued out of business overnight if they lost the Section 230 shield. Rekieta also expects Nunes to lose his lawsuit, but he's not blackpilling. Lawyers have ways of turning losses into wins, and Nunes' suit against Twitter will likely yield positive results even if he loses. The visibility of the suit itself could prompt one or more class action civil suits. Not a good look, and likely to start scaring off the Normies. Bad for business. Right, Jack? Any way you slice it, this is a welcome development. Edgelords have railed against Big Tech censorship for years, but Mark and Jack figured it was safe to blow them off. Then elected officials started making noise. Big Social wagered they were just grandstanding for their constituents and kept on with business as usual. Now members of Congress are taking action. Jack and Zuck are probably assuring themselves, "It's cool. Vijaya in legal assures us we'll win." But when grannies and soccer moms start getting wise?